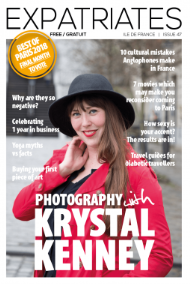 Printed Directory listing for 11 editions of Expatriates Magazine (including Best of Paris 2018). Please Note, this only includes Text, Alternative options are available for those looking to print an image or logo in their listing. Printed Directory listing for 11 editions of Expatriates Magazine (including Best of Paris 2018). Distributed to 180 establishments across Paris, A total estimated print run of 120,000 copies The Print Directory Listing includes: Title 30 words Description Contact Details (Website, email, telephone Number) Please Note, this only includes Text, Alternative options are available for those looking to print an image or logo in their listing.